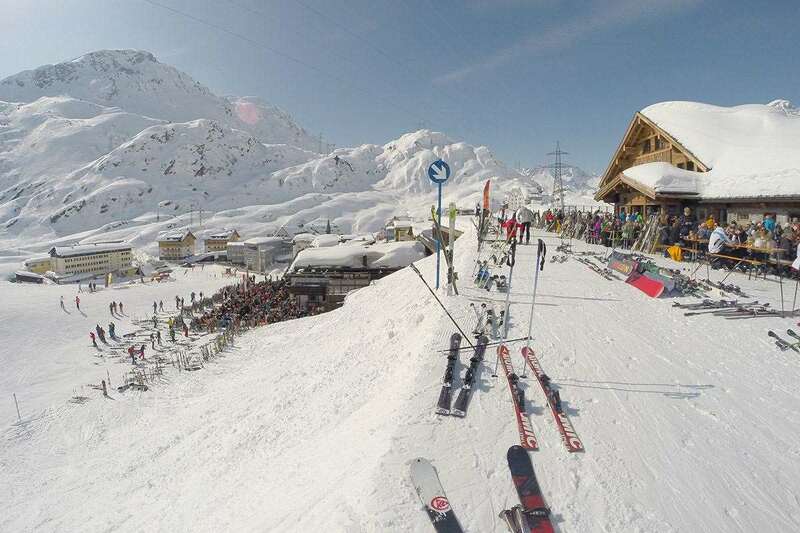 St Christoph in the Arlberg region of Austria forms part of the best ski area in Austria. Accommodation in the compact resort offers easy access to the lifts and the slopes run right into the heart of the resort. Not nearly as big or vibrant as the neighbouring St Anton, the village is well suited to those who want a more sedate stay, whilst accessing the absolute pinnacle of Austrian skiing terrain. Small, refined, traditional: a spacious yet very cozy mountain hut offering 700 guest beds. St. Christoph became famous in the 14th century when the shepherd Heinrich Findelkind built a hospice as a shelter against the whims of nature. Today St. Christoph offers a few hotels and inns. The evenings are best whiled away in rustic lounges where you can sample hearty dishes, fine wines and happy laughter. 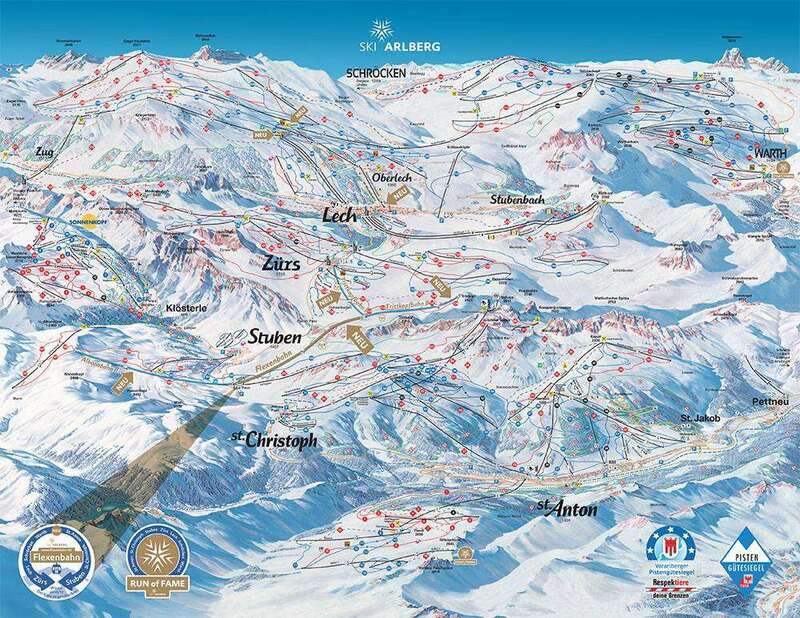 The ski resort is directly linked to St Anton by the ski pistes and by resort shuttle. St Christoph is located on the Arlberg pass between St Anton and Zurs. Being linked to the St Anton means that guests in St Christoph have a vast ski area to explore. The resort has reliable snow both early and late season given the altitude and its location in the Arlberg. The resort has ski in ski out facilities which means more time on the mountain that queuing for lifts and bus transfers. The slopes towards the bottom of the mountain are perfect for beginners and intermediates looking to learn from scratch or just to brush up on techniques before heading further up the mountain to the much more advanced runs. The ski area is joined to the vast and imperious St Anton ski region with all abilities catered for with a much larger skiing range. Around 80% of the Arlberg ski areas pistes are fitted with snow making facilities for more guaranteed skiing throughout most of the winter season. St Christoph is one of the much smaller resorts in the Arlberg ski area with hardly any buildings actually in the village. So as you would imagine the apres-ski entertainment is very limited here but there are some interesting things to see including the 600 year old wine celler in the Arlberg Hospiz Hotel where guests can also enjoy fine dining with great hospitality. The hotel also has spa facilities which guests can sit back and relax after a long day carving the slopes. The restaurants are mainly hotel based but non guests can also enjoy the food and beverages on offer. If after a week of skiing your looking for other winter activities to enjoy guests can also partake in cross-country skiing and winter hikes. Tourists looking for a much more entertaining and lively apres-ski we would suggest heading to St Anton as the ski resort is renowned for its great nightlife with many bars and restaurants, live music, ski huts and much more! The neighbouring ski resorts of Lech and Zurs are easily accessed by road through the dramatic Arlberg pass. The nearest airports to St Christoph ski resort are Innsbruck and Munich which are both accessible via car or bus transfer.